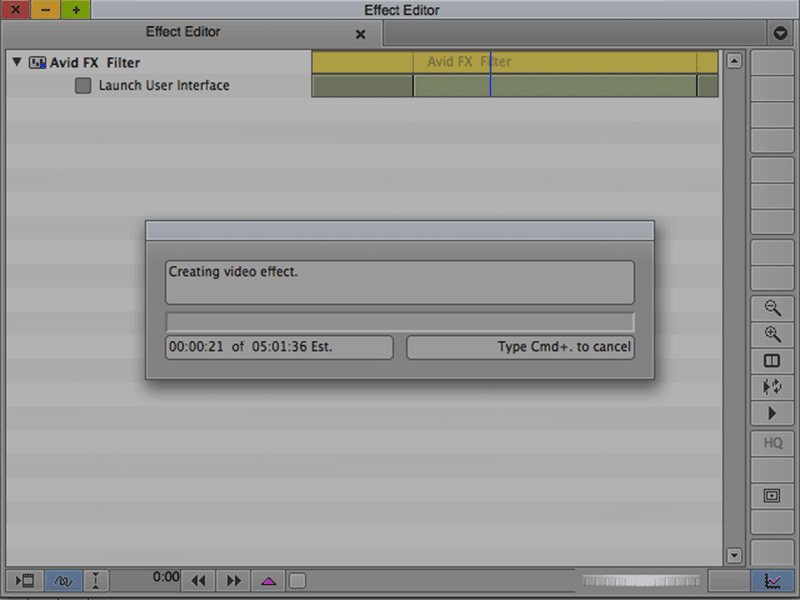 Rendering long clips in Avid FX can eat up your time. I was recently editing a project for a corporate client. This particular client thought they could save some money by using internal people to shoot the video. This is usually not the best approach. The shots were composed fine (which isn't always the case with internal shooters), but the eye for detail just wasn't there. Although the lighting was okay, the subject had an intense shine on his forehead. It never occurred to the shooter to either move the lights, or dull the shine with powder. I'm wondering if their camera even had a zebra stripes warning. I can wonder a lot of things but I was stuck with this source. I'm using a base Avid Media Composer with no Symphony option, and cutting on Adobe Premiere Pro for Dynamic Link wasn't an option. Therefore I had a couple of choices, I could export out the source, repair it Adobe After Effects, import it back in and recut the base sequence. Did I mention the editing was started internally as well? So if I used the After Effects approach, I would have had to match the new import back to all of the edits in the sequence. Instead I chose to maintain my existing edits and source and use Avid FX (Boris RED) to do the correction internally. Within Avid FX, I used a couple of instances of BCC Linear Color Key to isolate the reflection and replace it with a different highlight color. 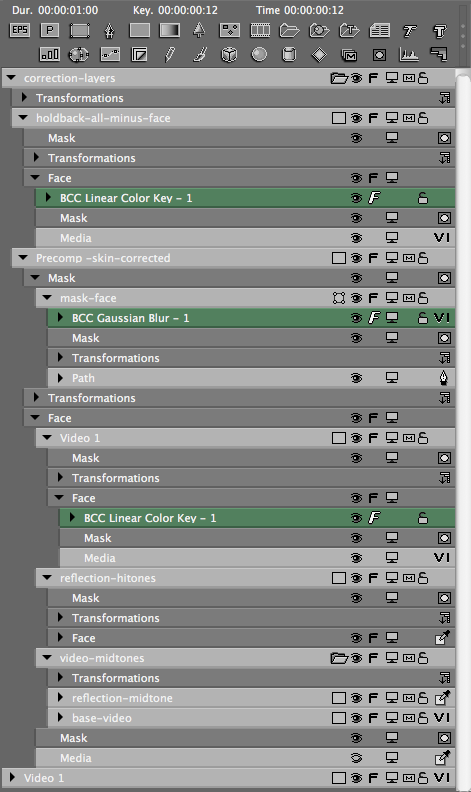 As I mentioned in "Avid FX (Boris RED) in Avid Media Composer", I love having the toolset that is available in Avid FX. But not so fast. The problem comes in the rendering. Avid FX renders EXTREMELY slow. It took upwards of 30x realtime to render. This is all well and good if the clips are a few seconds long, but when all of the base footage of a 20 minute plus sequence has to be corrected, get ready to burn through more than a whole day. I am actually still rendering as I type. In hindsight, my workflow would have been quicker by round-tripping through After Effects, but I really like maintaining my connection to the original source. For my next project (shot internally), I will consider stepping away from my favorite editing system (the Avid Media Composer) and using Premiere Pro, so that I can take advantage of the speed that After Effects offers and still keep my connection to the original source intact. Using After Effects is about 2x realtime for this correction, and this is using the same BCC Linear Color Key that I was using in Avid FX. Although I never did a test to see how long a render would take directly out of the Avid FX interface, it seems that the speed issue has more to do with AVX than with Boris RED, which is too bad because the toolset offered in Avid FX would be great if it could be used on long sequences.